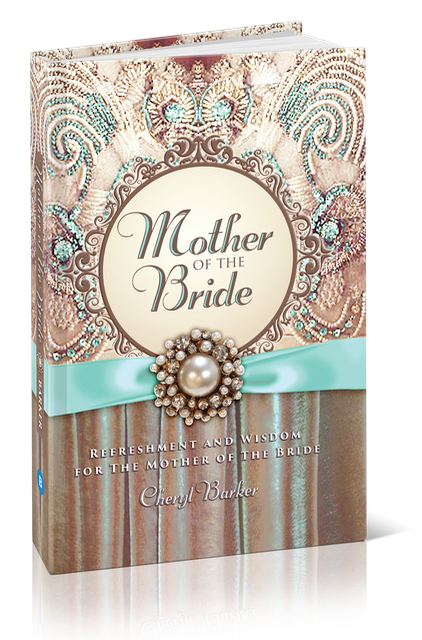 Mother of the Bride: Refreshment and Wisdom for the Mother of the Bride is the perfect gift and resource to refresh and encourage mothers of the bride and offer them wisdom and practical help as well. 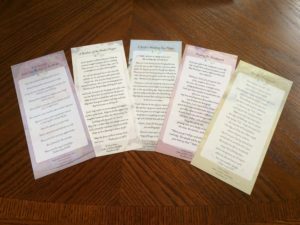 Through essays featuring relevant quotes or Scriptures, personal stories, nuggets of wisdom, simple suggestions for personal pampering, journaling opportunities, communication aids, and practical tips for wedding planning, Mother of the Bride will nurture the all-important but too often neglected mother of the bride. Plus, the vendor worksheets at the back of the book provide invaluable help. If you’re a mother of the bride, I pray that this book designed especially for you will bless you immeasurably on your MOB journey. And if you’re not an MOB, why not make Mother of the Bride your go-to gift for mothers of the bride you know—now and in the coming years! 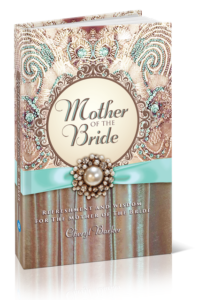 *If you’d like to purchase a personalized, author-signed copy of Mother of the Bride, email me with your request. I’d love to send you one! My cards are printed on high quality cardstock and make wonderful gifts and/or personal resources. Click on the photo to see a larger picture, and I’ll list the card titles below for your convenience. Most of the titles are pretty self-explanatory, but Life Lessons from the Mother of the Bride features lessons that anyone can benefit from and For the Newlyweds is perfect to include in a wedding gift or to send to the couple in the days or weeks following the wedding. The cards sell for $3.00 each and are available directly through me. Just contact me to place your order. White envelopes are included.